My introduction to Chiropractic came at the age of 8 years old. Believe it or not I was sitting on the toilet… reached for the paper and developed a severe “pinched nerve” in my neck. I came out of the washroom crying , telling my parents that there was severe sharp pain in my neck and that I couldn’t move it at all. Considering the circumstances they thought I was joking. The next morning they discovered that I was feeling even worse, so of course they took me in to the doctors and tried the referrals that were recommended. After lots of drugs and great suffering my uncle suggested they take me down to his Chiropractor. Of course my parents said, “Is that safe? What? Adjust her neck – crazy idea!” Well they took me and of course it was like a miracle cure. I felt better after the first treatment. From that day on my entire family became Chiropractic patients. From an early age I was a very active youngster – we did every sport imaginable – figure skating, hockey, softball, dancing, volleyball… There wasn’t a team I didn’t try out for. Chiropractic ensured that I could do all these sports at a competitive level. When I would have an injury the doctor would send me home to rest, the Chiropractor would get me ready so I could continue with my A-game as soon as possible. During University I was leaning towards Family Medicine, then I realized that over the last 12 years of my life I saw the Chiropractor more then anyone else – because it worked. I wondered how could I prescribe drugs for the rest of my life when I didn’t even take them myself? My fate was sealed. I studied at the Chiropractic College in Toronto, graduating in 1996. I started as an associate and continued to supplement my education with Acupuncture training at the Xi Yuan Hospital in Bejing and at the Institute of Traditional Chinese Medicine in Toronto. I have also taken courses in Nutrition, Paediatric and Pregnancy Chiropractic, Soft Tissue Techniques, Pre and Post-Natal Acupuncture, Applied Kinesiology and Neuro-emotional Technique. I love what I do, and always continue to strive to know more, be better and feel privileged to touch and change so many lives! 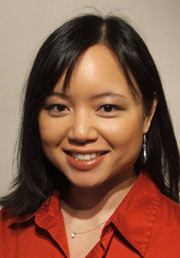 Dr. Camille Nghiem-Phu, B.Sc., N.D., is a registered and licensed naturopathic doctor who completed her 4-year medical training at the Canadian College of Naturopathic Medicine. She also holds a Bachelor of Science degree in Human Biology from the University of Toronto. Dr. Camille runs two naturopathic family practices in the Greater Toronto Area, one in Markham, the other in North York. 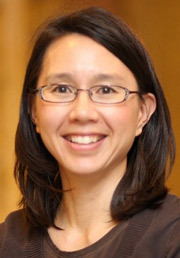 Her areas of focus include chronic illness, women’s health and pediatrics. She constantly evaluates new clinical research in both conventional and alternative medicine to provide improved-care to her patients, and frequently attends seminars and workshops in naturopathic therapeutics and detoxification. With growing attention on naturopathic medicine in the Canadian medical community, Dr. Camille has frequently appeared on television programs such as “Wylde on Health” and “Perfect Fit” on CP24 and “Cosmetic Innovations” on A-Channel to discuss her specialty and answer questions from viewers. As a child I always enjoyed being an athlete. At the age of 12 I truly believed I was going to be the first girl in the NBA. After my growth spurt passed and still standing at 5’0″ I realized this dream may never be achieved. I continued to play sports all throughout my high school years. My teammates would always ask me to give them massages as we were constantly injuring ourselves, and I thoroughly enjoyed helping them. Not knowing about massage as therapy, I decided to be a physiotherapist. In Grade 11 I did a co-op placement with a physiotherapist. Here my interest in massage therapy was truly sparked. All the patients at the clinic would rave about the benefits of massage treatment in helping with their re-habitation. What initially attracted me to massage as an occupation was that I am using my hands to help improve the quality of their lives. Before I pursued my goal of being a massage therapist, my parents encouraged me to enroll at the University of Western Ontario in their Kinesiology program. However, three months into the program I decided to chase my dreams. In order to fulfill this I took the rest of the year off serving tables at Jack Astor’s saving money to pay for school. The following September I attended D’Arcy Lane Institute of Massage Therapy in London, Ontario. After graduation I worked at one clinic for one entire day. This clinic was equivalent to an assembly line, get the patients in and out. I told the physiotherapist and chiropractor that my client’s treatment was not specific for their needs in which they replied “do not worry, you’ll still get paid”. That’s not why I became a massage therapist…”to get paid”. Devastated after my first day in the real world, I decided to come back home to the GTA. Ever since then I have been working at the Village Wellness Clinic. I joined this team in 2002 and I have never looked back. Coming in for my first interview I immediately felt at home. Here my skills have grown diversely having encountered a variety of conditions whilst working in a multi-disciplinary clinic. I have treated numerous conditions, plantar fasciitis, headaches, frozen shoulder, tendonitis, carpal tunnel, and stroke patients to name a few. I have found an interest in prenatal massage, having taken an extra course. In 2008 I studied even further to become a Doula/Labour Support Provider. This enables me to help my pregnant clients in the delivery room with massages, breathing and relaxing techniques. It is especially beneficial to those wishing to have a natural delivery. The ability to help a woman through this difficult time and simultaneously witnessing life come into this world is one of the most rewarding parts of my job. My desire to learn new techniques led me to enroll in the Dr. Vodder’s Manual Lymphatic Drainage program, which I completed in 2012. I am consistently looking for new ways to be able to treat my clients more effectively. I believe in leading a healthy lifestyle and do my best to practice what I preach. I get monthly massages and weekly chiropractic adjustments. I take daily supplements and maintain a well balanced diet. I exercise 3-4 times a week doing cardio, weight training and pilates. I love to travel and try to go on vacation 2-3 times a year. I love my job. It is stress-free and I have the opportunity to help people all day long. Clients are happy to come and see me and they’re happy when they leave. What more could I ask for? My goal is to help people of all ages lead pain free lives. My motto is “nothing should hurt”. Regardless of how much pressure your therapist applies on you, “nothing should hurt”. You should feel pressure, a weight, but not pain. Pain is a sign that something is wrong. I want my clients to be able to enjoy their lives without discomfort. I look forward to meeting you and assessing how I can improve your way of life. 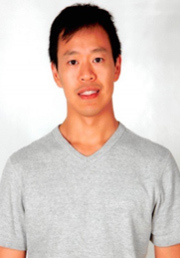 Nathan Leong is a Registered Massage Therapist, and graduated from the College of Massage and Hydrotherapy in 2009. 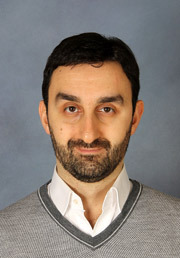 For the past 5 years, he has been working at the Canadian Memorial Chiropractic College in North York and at Mayfair Racquet and Fitness Club in downtown Toronto. During this time, he has treated many clients with different needs, from athletes, seniors, children to regular massage clients. His treatments relieve pain, improve recovery time, and most importantly reduce stress. Nathan is always striving to further his education, and is currently completing his studies at the Ontario College of Traditional Chinese Medicine to become an acupuncturist. His next ambition will be to complete his studies to become an Osteopathic Manual Practitioner. Since my early childhood, I was attracted to the medical field. It was therefore normal for me to move towards medical school after completing high school. But very soon, I realized that the allopathic medicine didn’t interest me. So I tried to find a different specialty, which could suggest an original therapy. And I discovered Osteopathy: to me it was obvious, because first of all, it is a holistic medicine, which allows us to have a complete vision of the patient and his troubles, and so to better understand him and to be in a total empathy. Then, it is a manual medicine, non-invasive, respectful of the human body, allowing me to practice daily the art of touch. It is an extraordinary power for a practitioner to treat a patient with his hands. I see Osteopathy as an art, a philosophy, a passion, but in no case as a simple job. After a 6-year full time study at the Ecole Supérieure d’Ost éopathie (Paris, France), I obtained my diploma (Ostéopathe Français, DO) in 2007. Since the beginning of my studies, I have worked with musicians, singers and dancers during festivals and concerts and that is why I choose to complete a research study on Osteopathy and musicians. I worked from 2008 to 2015 in my private clinic (Paris area), where I had the opportunity to treat more than 2000 patients, from newborns to seniors, also pregnant women, sportsmen, disabled persons… with various diseases. I use a wide variety of techniques (cranial, visceral, structural, myofascial, soft tissue approaches), which are always adapted to each patient and never traumatic. I also had the great opportunity to participate in the creation of the association “Les ostéos du Coeur” for Paris area and to be one of the managers since 2013. This association regroups voluntary Osteopaths, who provide free osteopathic sessions for low income population. Stacey Brown is a Registered Massage Therapist with an advanced diploma in Massage Therapy from Sir Sandford Fleming College. She is registered with the College of Massage Therapists of Ontario since 2015. 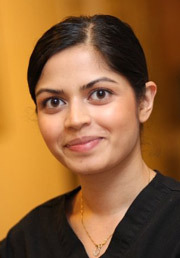 She enjoys working with people of all ages, backgrounds, and ailments. Stacey takes pride in helping her clients feel better. She uses her understanding of massage therapy to help people get better and back to the things they love doing. Along with Swedish massage techniques, Stacey provides a therapeutic treatment that can range from relaxation to deep tissue therapy. She understands that every individual is unique, and creates a personalized treatment plan for each of her clients that will best lead them on their own journey towards optimum health and wellness. Stacey also has a background in fitness and health education and is passionate about healthy eating and being active. She encourages people to stay active and to always remember to stretch! Stacey plans to continue her education by completing her personal training and fitness instructor specialist certification. Thanks for visiting our site. We look forward to meeting you in person and learning how we may be of service to you. Give our Markham chiropractic office a call, or email us using the link below and let’s arrange a time to explore your options.